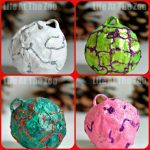 I think you will all believe me to be Paper Mache crazy at the moment! And have a great set of Paper Halloween Crafts for you to browse. 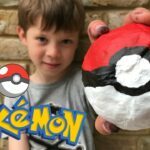 Yes, we have had a number of paper mache posts recently, but THIS craft, we actually made LAST year. We made it for St Martin’s Day and Halloween – a nice way for us to bring our Austrian and British traditions together. 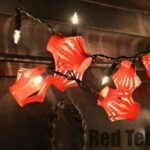 We made two Halloween Laterns, this classic “Jack O’Lantern” inspired by the Nightmare Before Christmas, and a stripey one. Sadly the stripey one is “no longer around” (someone rather took a shining to it and it got played with a lot!). I took lots of photos at the time, but I lost them in the great PC crash. So you will have to make do with the finished image only! 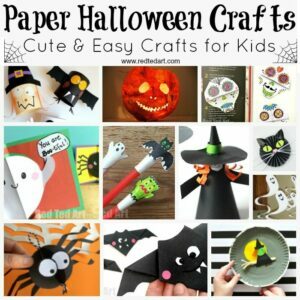 This is a great post to show how very versatile (Tissue) Paper Crafts can be.. and is the perfect (Tissue) Paper Halloween Craft for kids! 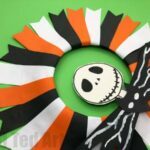 You may also like this super easy Jack Skellington Wreath – love the technique to make this – adapte the colour scheme to suit your Halloween Decor.. and the best bit? 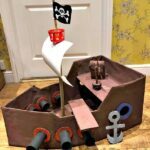 It is all made from PAPER!!! 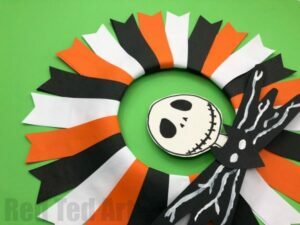 Yep.. a fabulous Paper Halloween Wreath! The kids helped tear the tissue and stick it on! 1) Blow up your balloon. 2) Tear up your tissue paper (the kids liked this bit best). 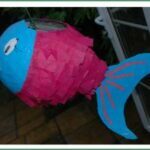 3) With plenty of paper mache paste cover your balloon in tissue paper strips up to a given line (though you can cut this down evenly at the end). We actually put a white layer of tissue paper first, no real reason. Make sure you have 3-4 layers of tissue paper. 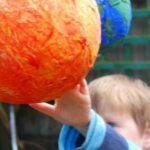 4) Hang to dry (remember not to dry it above a radiator – a radiator, may result in the balloon bursting as it contracts and expands with the heat and your paper mache creation shrivelling up before it is fully dry!). 5) When fully dry, pierce you balloon and let the air out gradually. Remove the full balloon. 6) Using your nail scissors cut out your details. 7) Stick some tape over the area where you want to thread your string for hanging on a stick or carrying. 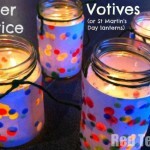 The tape will help strengthen the lantern and avoid the string tearing through. Make small holes with your scissors and thread and tie our string. Done! HAPPY HALLOWEEN! 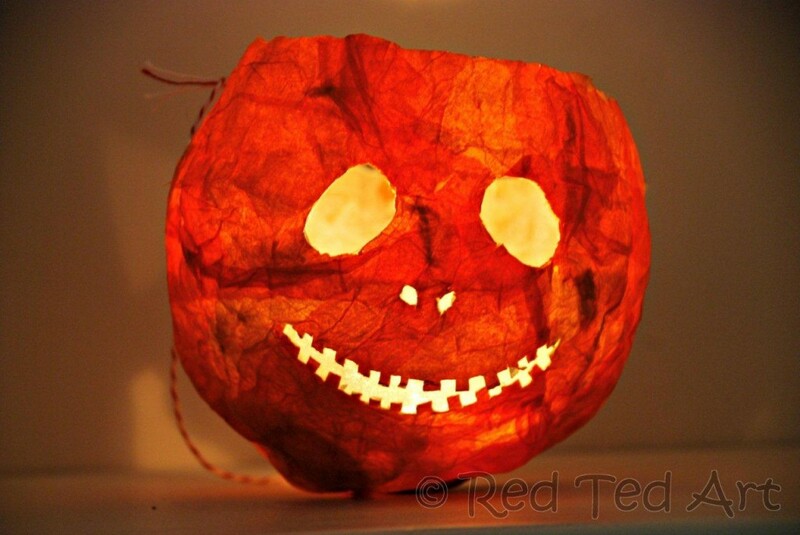 What are your favourite Halloween Lanterns craft? It looks so spooky. I definitely get The Nightmare Before Christmas vibe from it.